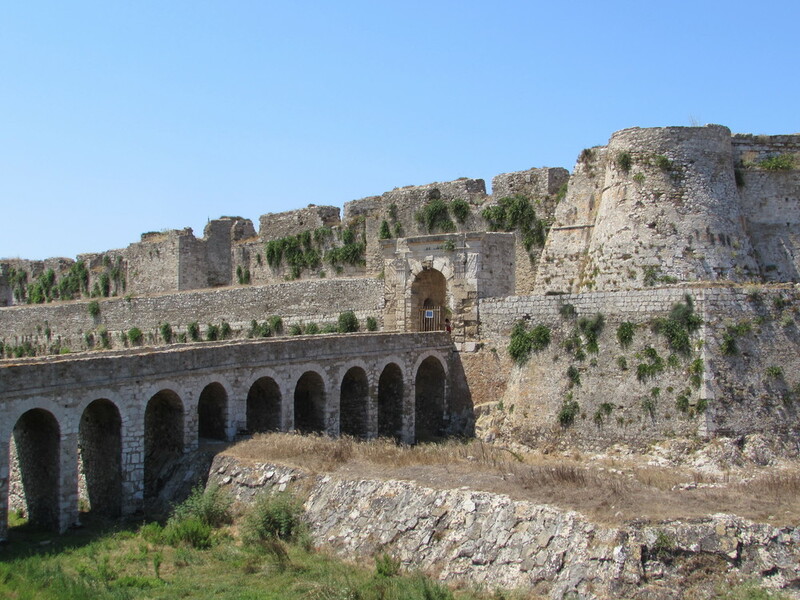 Koroni and Methoni Castle, Greece are two must-see Peloponnese tourist attractions. These Venetian castles could almost be straight out of Game of Thrones! 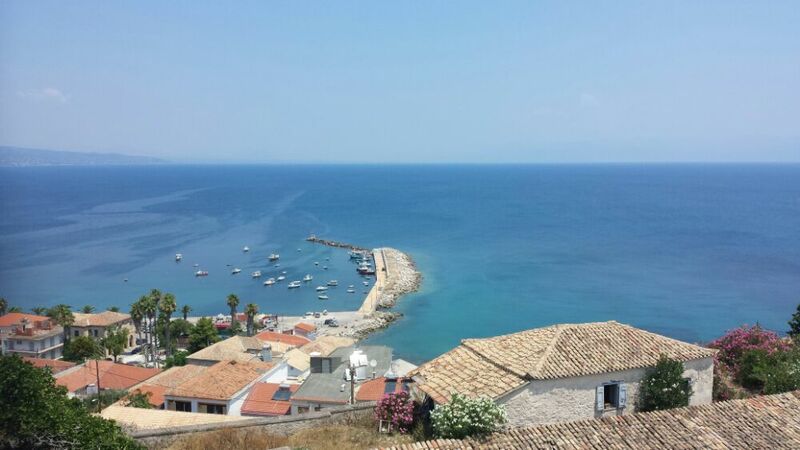 Here's all the information you need about visiting Koroni and Methoni castle. The south east Peloponnese peninsula in Greece is a dream destination for holidaymakers. If you want quiet stretches of beautiful sandy beaches, you've got it. If you want to see archaeological sites, then Ancient Messene is nearby. And if you want to see castles, then look no further than Koroni and Methoni, otherwise known as The Eyes of Venice in Greece. Koroni castle and Methoni castle have always been coveted by the various powers which have controlled the coastal area around the Peloponnese throughout the ages. They occupy key strategic positions, and have also been very important centres for trade and maritime traffic. Their proximity and positioning gave rise to them both being referred to as the Eyes of Venice. Built by the Venetians in the 13th century, the castles have stood through siege, war and natural disaster. Today, Koroni castle and Methoni castle are both open to the public, and are major Peloponnese tourist attractions. If you are planning a Peloponnese road trip, you should definitely include them in your itinerary. 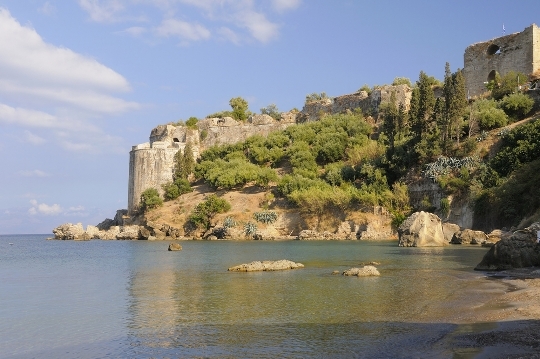 Koroni Castle is an excellent example of Venetian castle architecture, and was built in the 13th century. The castle we see today has of course been altered throughout the years, with the Ottomans being the last to leave their mark. 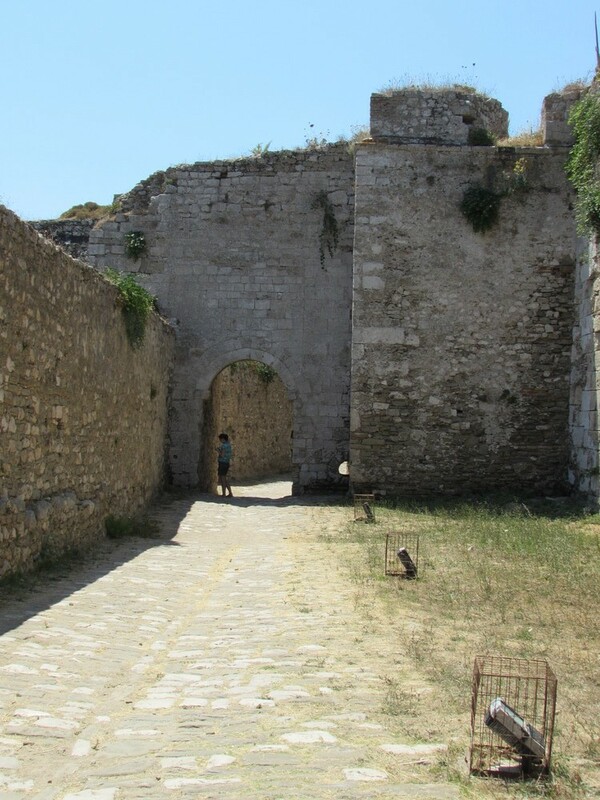 Today, Koroni Castle is free to enter and explore. Once inside, you get the curious feeling that the castle is in some way being ‘squatted'. Some of the houses are still inhabited, as indeed is a monastery. It must be a very strange place to live! This is a castle to wander around, enjoy, and wonder at just how many man hours must have gone into its construction. I would suggest allowing between one and two hours to explore the castle. Longer, if you want to go down to some of the hidden coves and take a swim in the sea. My pro travel tip for visiting this castle, is to make your way to the still inhabited monastery. Here, there is a tower which is the highest accessible point within Koroni Castle, and there are spectacular views all around. 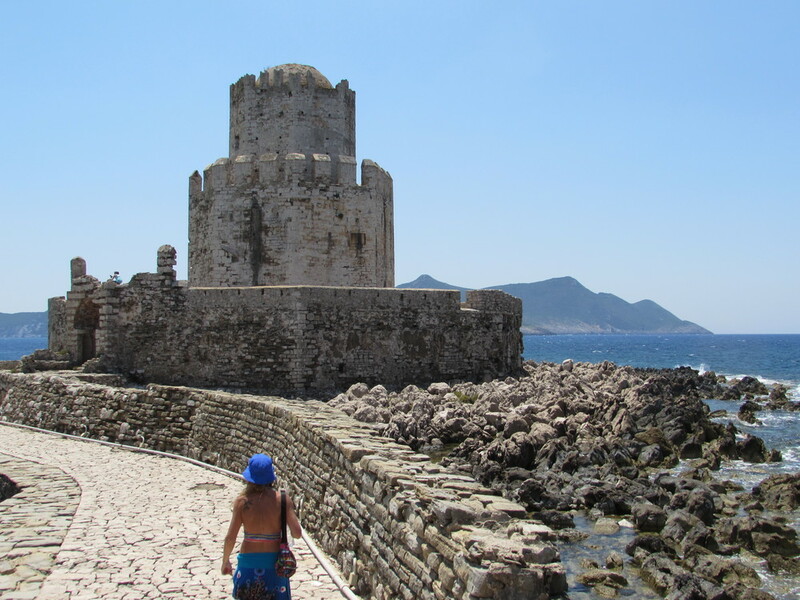 Of the Eyes of Venice in Greece, Methoni castle was my favourite. If you only have time to visit one during your vacation in the Peloponnese, then I would suggest that this should be it. Again, at least a couple of hours should be put aside to do the castle of Methoni justice. 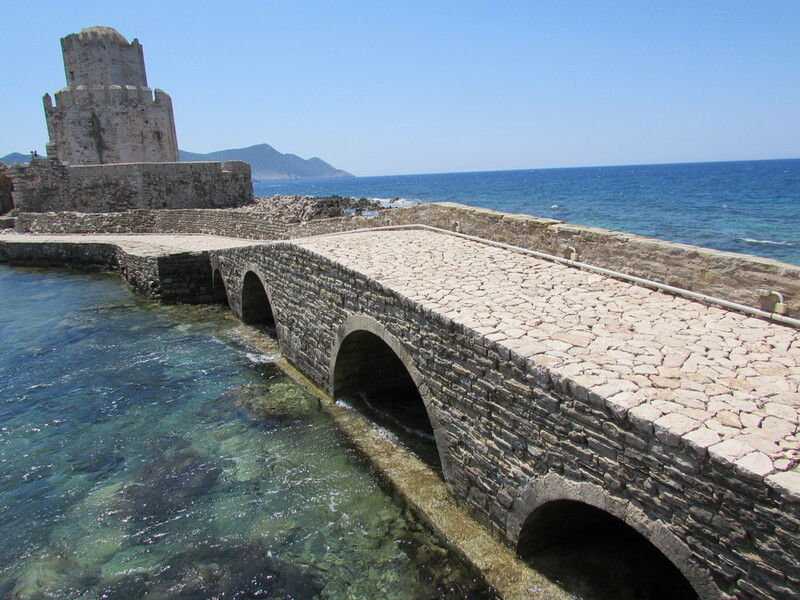 You approach Methoni castle over a stone bridge which connects the castle to the shore, and goes over a sea moat. The walls are incredibly impressive once inside. 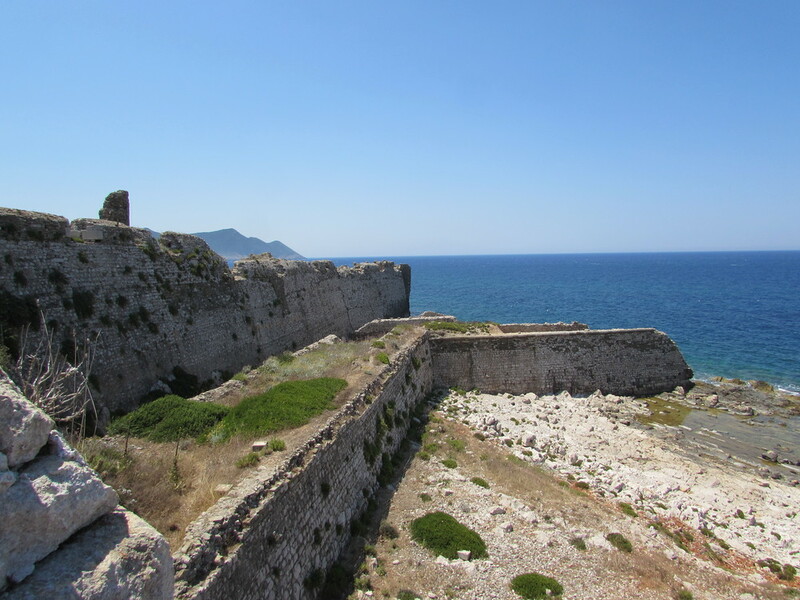 There are also massive walls protecting Methoni castle from attack by the sea. The entire site of the castle of Methoni is very large, and its most outstanding part is the smaller fortified islet at the south, known as the ‘Bourtzi'. I couldn't help but think of Game of Thrones when seeing it! 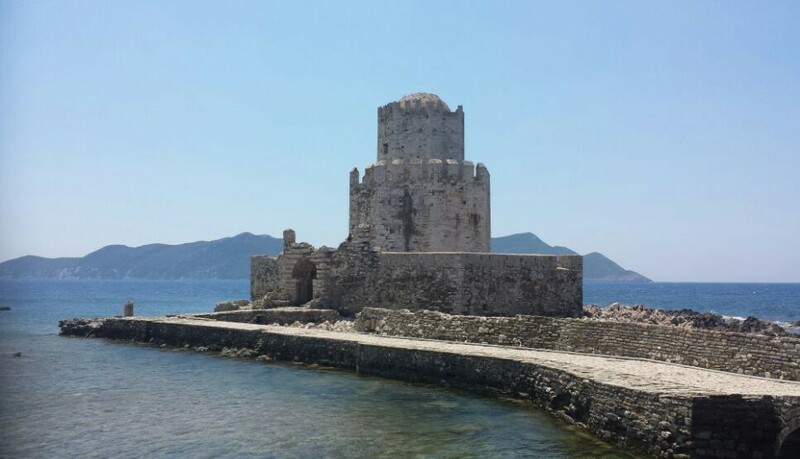 Used as a lookout, last line of defense, and even a prison, it is connected to the rest of Methoni castle via a small paved pathway. Make sure your camera has plenty of battery life, because you will take a lot of photos here! Even the view back to the castle from here is amazing. The nearest city of importance is Kalamata. From there, Methoni is a 21km drive, and Koroni is a further 31kms beyond that. Organised tours may be available from Kalamata, although most people would choose to either drive, or take local transport. It might also be quite a pleasant bike ride between Koroni and Methoni. Working out cycle routes between major tourist attractions in Greece is a side project I am working on which may take some time though! By the way, if you are interested in cycling in Greece, you might like to read about my most recent cycling adventure. This was a 75 day bicycle tour from Greece to England. 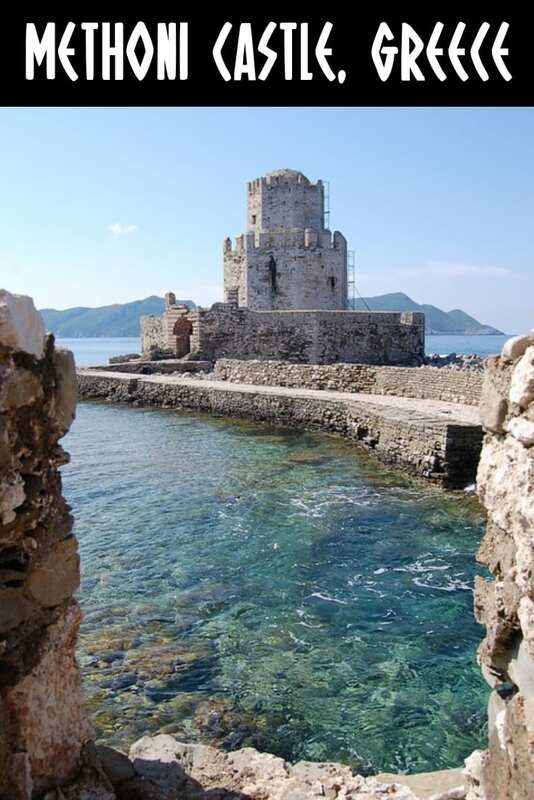 Feel free to add this photo of Methoni Castle, Greece to your pinterest board! I keep watching all your videos in youtube to get inspired, as I also use to travel by bike, although not so far as you. My ridden routes can be found in bikemap.net under the usename “cargobike”. By the way, I have cycled Methoni to Koroni and back.